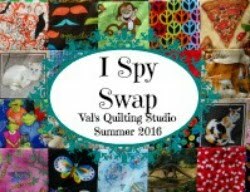 Val's Quilting Studio : Pets on Quilts Show! 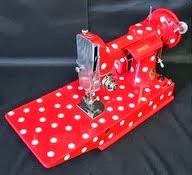 What a great opportunity to give our quilty companions a little time in the spotlight! And when "cute" didn't work, he'd just fell back asleep! LOL! I so appreciate having him as my enthusiastic quilty "model". This guy is my constant companion. He so enjoys modeling. Seriously, no treats needed for his participation. All's I have to do is start taking quilt pictures and he acts like I laid them out to take pictures of HIM! My husband laughs every time! But even better in my book, I love that he enjoys snuggling under my quilts and keeping me warm! Oh man, I love ya bunches buddy and am so grateful to be your "human". I couldn't ask for a more loyal companion. I've entered this post in the Dogs on Quilts Category and look forward to visiting all your pet posts this weekend at the 2015 Pets on Quilts Show! (Voting begins August 27th...vote Jackson! ENTRY #31) I think he's campaigning for extra treats this year! LOL!! And from his look in that second picture above, he seems pretty serious about it doesn't he?) Thanks for stopping by! We always appreciate your visits. What a great story. Jackson is the perfect quilter companion. He is totally adorable and I loved reading your post - still smiling writing this comment! Jackson is just the cutest model! Terriers....it is all about them, LOL! Too funny that he wants to be in the pictures too! Oh, Jackson - you are the most handsome, loveable little helper. I just so enjoy seeing you pose on Mom's quilts. Keep up the good job! Jackson is sooooo cute.. I just love his posts! 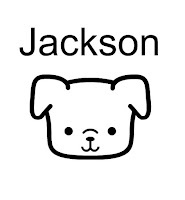 If I had a dog, he would be one just like Jackson! LOL I know what a good quilt helper he is.. He will be getting my vote! Awwww Val, this post is just packed full of warmth and sweetness and so many SQUEEE! moments I could turn inside out. Jackson is super and I think we all love him! It's so funny about him liking to have his photo taken. I don't know what we would do if we didn't have our furry pals as our constant companions. 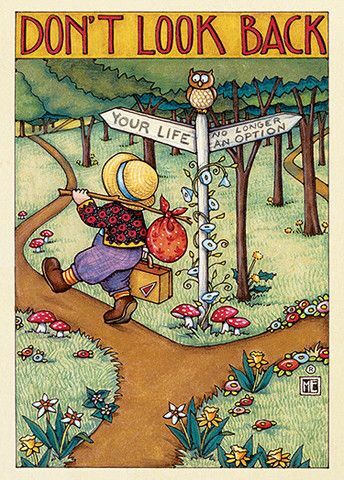 Hope the school year started off beautifully for you! Jackson is so cute. A lot of personality there! He's a winner in my book. PDC (pretty darn cute). He is certainly a sweet lil' man.....I loved your story and the pictures of him. I hope I have a friend like Jackson someday, to keep me company in the sewing room. Your quilts are all so colorful and pretty!! Oh, he is so gorgeous! What a shot of him on the middle seat and with the wool - adorable. Smiling to myself as I read your post - Jackson is one star dog! I love that one of Jackson yawning! Too darn cute. Sending another tummy rub, and you know Jackson has my vote! Good luck, Jackson! You have such a cute personality! He definitely is model material! He's such a cutie. Hope he gets his fair share of belly rubs and walks this weekend. That Jackson... He just melts my heart! I love, love, love that photo of him with the chairs. So Dog Gone CUTE! You have my vote Jackson! Love ya! Oh my goodness, what a great model! And lovely quilt, it's so bright and happy! You know Jackson is such a little heart breaker! Love that he has his own blog button now too! Ha! What a darling dog! P.S. 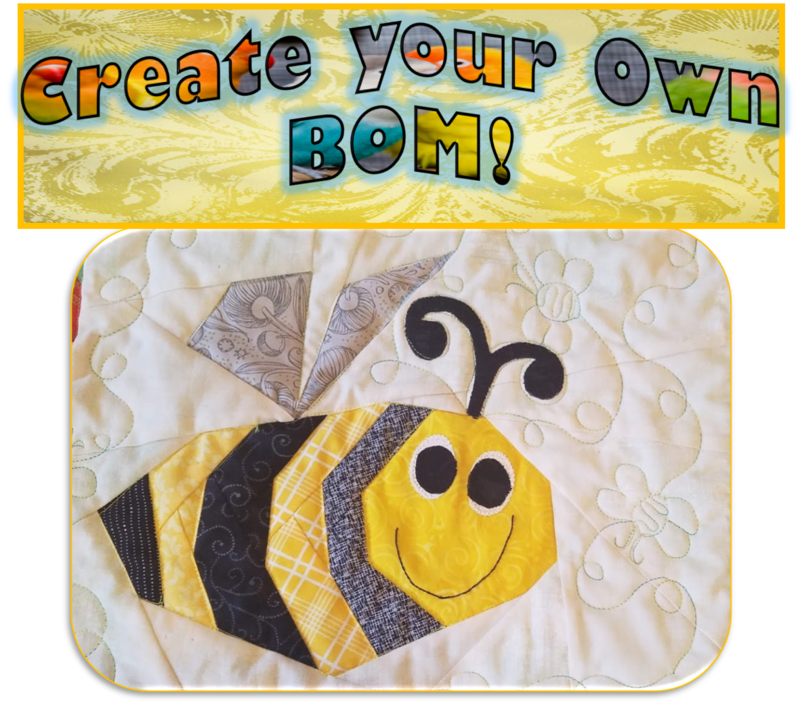 Your quilts are great too! Those are some really adorable pics. I haven't had time to even attempt to get our fur ball onto a quilt for a photo shoot. Oh well there is always next year. Surely a prizewinning entry. Lovely photos. 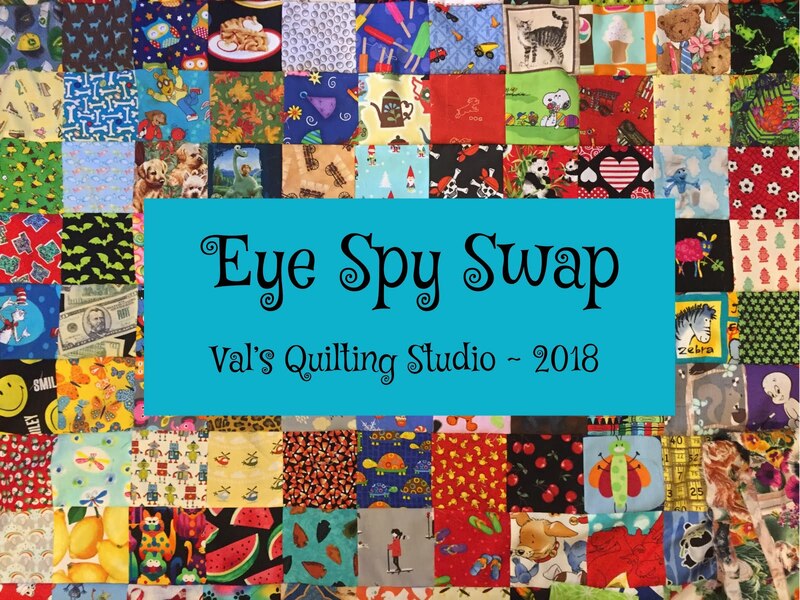 I loved reading your post about your quilting and crafty adventures with Jackson! He is delightful and sew cute , cute, cute!! I was laughing at his serious pose on your pretty painted chairs! Thanks for sharing Jackson with us!! 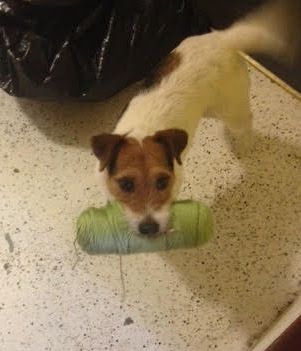 Poor Jackson, sorry the knitting didn't work out for him. Maybe he just focus his attentions on modeling...he's obviously a complete natural at it. How in the world did you luck into the picture of him yawning? Adorable. You know I have a little crush on Jackson. I wish he could come visit Cooper. He's so flippin' cute! I love your chairs btw! Oh, my goodness.....this post is serious cuteness overload! He is adorable! Love how each photo captures what you are saying in the text. Just a joy to read, and so glad you joined our party! Jackson is so cute, Val. Jackson is gorgeous ! Looks just like our Lacy. He's so cute! My cat likes to carry around yarn too! Pawsitively cute pic of Jackson on the chairs. Just love those chairs!! Did you refinish them? Jackson is the perfect model, what a sweetie!!! I love your colourful quilts too!